Iranian Foreign Minister Mohammad Javad Zarif has called the immigration ban of US President Donald Trump "an affront to the entire nation." MOSCOW (Sputnik) – On January 27, Trump signed an executive order barring citizens from Iran, Iraq, Libya, Somalia, Sudan, Syria and Yemen from entering the US for 90 days. Moreover, the order prohibited refugees from entering the United States for 120 days and barred indefinitely Syrian refugees indefinitely. "You cannot find any Iranian who has committed a single act of terror against Americans, in any of these atrocities that have taken place," Zarif said in a Friday interview with CNN, stressing that "Iran has always condemned every single terrorist incident in the United States since 9/11." 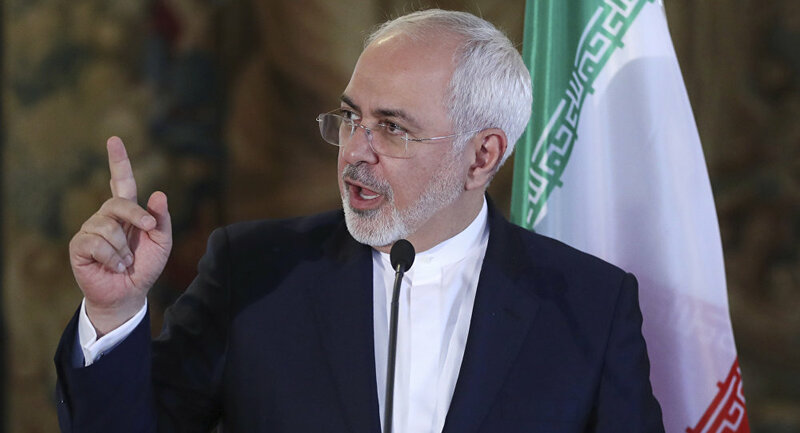 Zarif told CNN that Iranians are among the most successful immigrants to the United States, emphasizing that "in a globalized world you cannot contain threats to one locality." Trump’s executive order has been challenged by the state of Washington, which led to a district judge in Seattle issuing a temporary stay on the executive action. Later, the Ninth US Circuit Court of Appeals in San Francisco issued a stay on the stay. On Thursday, the Ninth circuit Court suspended proceedings over the immigration ban saying that Trump was expected to issue a new executive order on the matter.